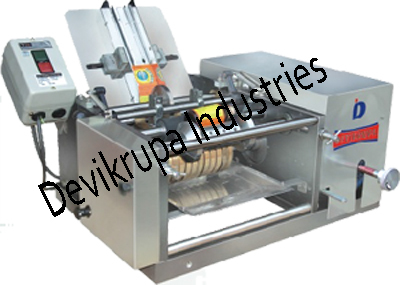 Machine is used for Paste Label on Round pet bottle, glass bottle, jar. Machine is paste label with help of wet cold glue. Labels feed one by one from feed hopper with feed rubber and retard rubber adjustment. Feed rubber passes label between feed roll and pinch roll. The labe feed in label guide to gum cylinder and paste on bottle.